This is the second part of my interview with Martyn Reding, Head of UX and Optimization at Virgin Atlantic. In this part, I talked to Martyn about how they do their airline user research and how they optimize UX by focusing on user needs. For those who missed it, in the first part Martyn explained why and how they’re building their airline UX team from scratch. He also talked about how they will organize the team and integrate it into the company – mostly internal stuff. However, building a great UX is all about making it useful for your users, right? So, this part of our talk was all about how to look outside and how you can understand your users better. 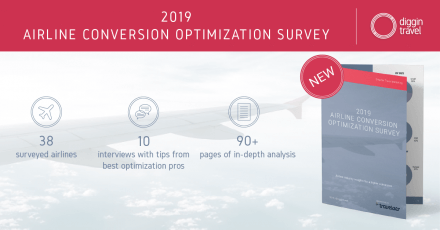 When we do airline conversion optimization, I always follow a simple four-step process: measure (analytics), analyze (airline user research), optimize (redesign UX) and test. In the past few months, I’ve written a lot about the first step (the “measure” phase) – how to do airline booking funnel analytics. We even built a special process and analytics tool for that – check out this article with 3 demo videos of the airline booking funnel analytics in practice. 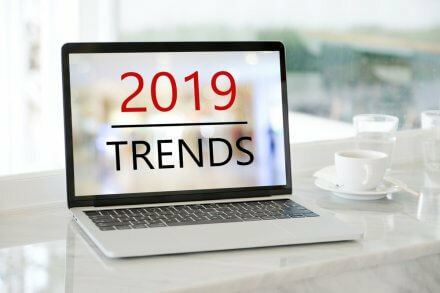 So, I thought it was high time to show you more about the next phase in the conversion optimization process – airline user research. I also talked to Martyn about why combining UX research and optimization is really crucial for your success. I really believe Martyn, with his extensive UX background and knowledge, is one of the best resources for that. And yes, he delivered again. We’re not a software company, we’re not Spotify, we’re not Netflix or Airbnb. We differ from them in that no matter what we do, our experience is always going to be involving some degree of the physical experience. There is no version of this (airline service) where you don’t go to the airport. Absolutely! The people who are on the face to face basis delivering the products and service, the cabin crew, the airport staff, the people in [the] call center and live chat, they are very important to us. Because for the digital as the channel, to close its walls down and to operate like it’s the only channel is very detrimental. So, using that feedback in any shape or form is very valuable to us. It’s hard because unlike the digital interaction they’re not constantly monitoring, they’re not constantly recording. On an eight-hour flight, you can have one person who is very vocal and gives feedback saying he had a terrible flight, where in actual fact you had four hundred people who were very happy. So, you have to be very careful to take that information and make sure that it’s clear. It’s qualitative, not quantitative information. It can point to things, it can shed light on things, but it can’t give you black or white facts. And if treated correctly [it] can be very valuable to us. So, the first lesson is to collect feedback on all touchpoints (digital and physical) and not think of the digital channel as a silo. The next obvious question I had for Martyn was regarding the most important method of getting user feedback for their digital initiatives. What is the best way of getting into your users’ minds? Hm, that’s a good question. We’ve got a lot of different methods and ways. Lab testing is continuously amazing to me. I can’t even count how many hours I spent in a lab watching a good UX researcher interviewing people and trying out prototypes. Every single time I’ve done any kind of lab test I found that valuable. Remote testing, split testing, they’re all useful too, but lab testing for me personally just blows my mind every single time. And what is Martyn’s recommendation for ensuring a good lab test? [A] good UX researcher will help with it, but it’s not generally the thing that people say; the more important thing is what people do. A friend of mine always says that the difference between good and bad research is the difference between declared preference and an observed preference – a declared preference being ‘I will see this and I will click on this’ versus you just leave them and watch what they’ll do. 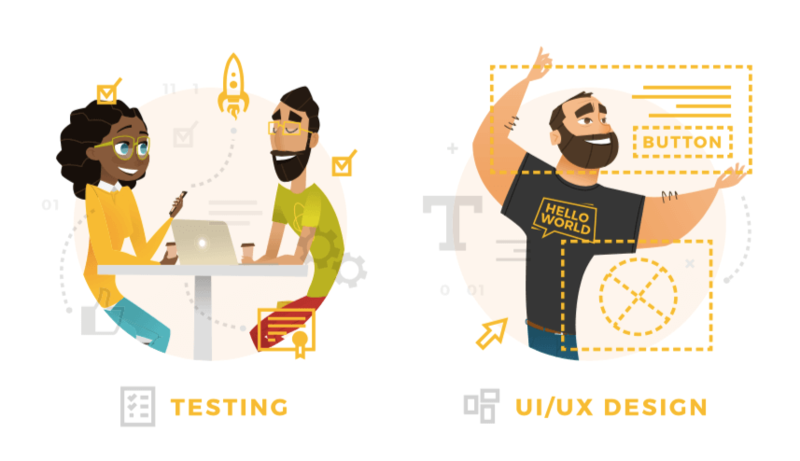 If you’ve ever performed any type of user testing, you know that getting people to act naturally in a testing environment is difficult. So, what is the best way to do that? I think when you boil all the different methodologies down, creating the environment that is as close to an actual environment as possible and then just watching people. Give them a basic task and allow them to work their way through. And be very quick to observe them. When do they take their hands off the keyboard? When do they put the phone down? Where do they lurk, how do they sit? When do they sit back and fold their arms? When do they lean forward? I’ve never formally studied behavioral science, but I find that just so much more insightful. Designing towards that behavior is I think the most valuable. I think the same methodology applies in terms of the design and content. I think the research has to become a lot more creative when you’re moving out of your basic structure of the screen, keyboard, a mouse and a browser. That’s the area we’ve gotten into with the app design, kiosk design and some other things that we’ve got in our pipeline as well. Research is the key! Research really has to be much more inventive, flexible and being able to replicate context in those situations. If you’re doing research for an airport kiosk for example, you need to find a way of doing research where the participants are carrying bags and it’s lots of people walking around them and the lighting is not in their control. Those are [the] kinds of things where you really need to be inventive. From the design and content perspective there’s variance, but research is really the place where you have to think different. You may not always have the same level of data inputs for feedback loops to inform the design decisions. In those instances you really need to be careful about what you’re measuring because on ecommerce sites you can have visit-to-search ratios, search-to-purchase ratios, value of sale, etc., but when you’re trying to measure the success of a kiosk or an interactive seat map or interactive airport map you need to be open to consider different ways of measuring success and getting feedback from your users. Now, since Martyn mentioned the measurement part, I thought it was a good time to talk about our next topic – optimization, experimentation and metrics. Why Do UX & Optimization (CRO) Go Hand in Hand? To me it doesn’t make sense to separate it. I’ve been in organizations before where you have one set of people who create and deliver something and you have another set of people, completely separate, who try and apply CRO techniques on top of it, and I don’t think it works. You’ll end up with people who created something, who have been misunderstood maybe along the way. Then you have a group of people who are at the receiving end, people who do the CRO and can’t understand why it was done like that in the first place. They are frustrated as there is only so much they can do. So, for me the combination of user experience and optimization is very important. So, you might ask, what is his answer to this problem? Does he expect his designers to do testing as well? There are slightly different resources and skills. I wouldn’t expect a product designer to use Adobe Test and Target to run a multivariate test. There should be two different people doing this thing, but they should be working together on the same team, on the same roadmap, in the same sprint plans. What I would really like is a lot of people having a CRO understanding and capability. Also a lot of people having a UX understanding and capability. The more people that understand it and can apply that kind of thinking and methodology, the better. Basically, he’s talking about taking CRO from the individual level to a company-wide mindset – which is exactly what we found airline CRO leaders do in our CRO research. Airline CRO leaders recognize CRO on an organizational level and have built a culture that supports experimentation. When it comes to a culture of experimentation and support, the Virgin Atlantic UX and Optimization team is lucky. If you’re going to do [experimentation] in any organization, Virgin Atlantic is the one to do it. In our history, it’s the reason we exist today that we’re able to embrace new things and try and challenge and not accept convention. It’s part of who Virgin Atlantic is. We use the mechanic of ‘yes, but’ and ‘yes, and’. When someone suggests something new, usually the default response is ‘Yes, BUT blah blah blah,’ which kind of drains you. So you need to train yourself to actually say ‘Yes, AND…’ So, ‘Yes, we can do that AND we can do this.’ It becomes this kind of escalation point, and this little seed of creativity that was really gray at the start suddenly turns into something completely different. It sounds like a small language change, but the difference can be huge. It’s cultural here. It comes from Richard Branson. He has a reputation here; people refer to him as Doctor Yes because he just likes to say yes to everything. 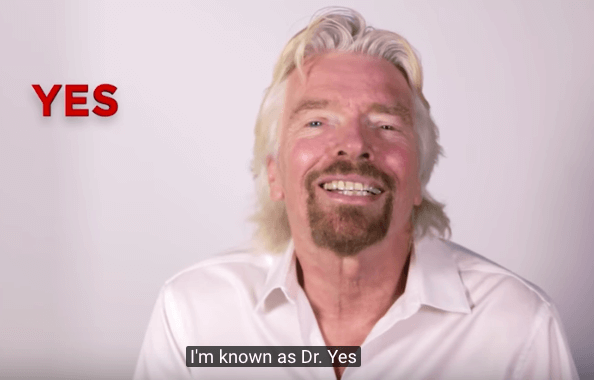 In the induction process when you join Virgin Atlantic, you have these sound bites and videos of Richard, and sometimes he even just shows up himself and at the end of it he just says – ‘Yes! Now, what was the question? Based on what you’ve heard so far, you’ve got to love Virgin Atlantic’s approach to UX and optimization. But if they look at it from this really broad user-centric perspective, how do they measure it? We have a range of things dependent on which part of the customer journey we’re looking at. We’ve got dwell time. The call center has a thing we call bad demand, a thing users couldn’t resolve online. Then conversion rate is very simple, value of sales, upsell rates. And you can layer customer satisfaction on top of that. You can layer that on top of that with qualitative feedback. Sometimes you’ll find correlation and sometimes you won’t because there are so many things that are out of our control, it is tough to create correlations. I think a sales metric is a customer experience metric. In the airline world there is a lot of choice. People don’t have to fly with us. If they’ve chosen us I think that is a user experience metric. So our metrics are not just the conversion rates, but also a value to sale. That’s how much they enhance or add on to their flight. I think that’s the indication of how comfortable they are with interactions. And of course, retention. I don’t think retention would happen if the experience wasn’t good. As we wrapped up our interview, there was one last thing I just had to ask. This is a blog for travel and airline digital professionals, after all. 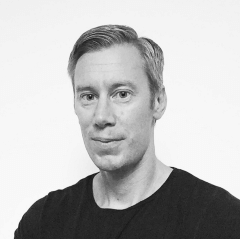 Before he jumped into the airline industry, Martyn did UX design in many other industries like retail and media. So, I asked him one thing he’s learned when designing airline UX compared to other industries. I think that even when you’re talking about something as transactional as business travel, there’s so much more emotion-driven decision making than in other industries. When you are selling FMCG (fast moving consumer goods), the emotional investment in that exchange is pretty low. When I’m buying an iPhone case or a cinema ticket, there is not a lot of money to part with. If you look at things we describe as utilities, such as gas, electric or insurance, they have a bit of emotional pull about them but not an enormous amount. Whereas in travel you’re in totally different territory. The behaviors I see playing out are very different. You deal with someone who is booking their honeymoon or a once-in–a-lifetime experience they’ve been saving up for for five years, or a huge family holiday. These are adventures for a lot of people. People in this environment are very open emotionally. It’s surprisingly sensitive customer behavior. I don’t think airlines are always necessarily aware of that. 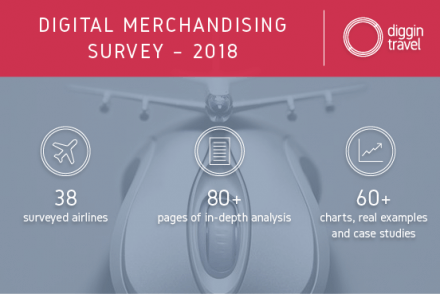 If nothing else, this last part is definitely one takeaway you can keep in mind when starting your next airline user research or designing a new digital experience.